What is about animals that we love so much? Is it their lack of guile or the fact that they have survived so far. Our admiration for the animal prods us to acquire more animal facts. There are some facts that come as an expected surprise and some that stun us. Here are 18 astounding animals facts that will leave you asking for more. 1. There exists a species of Kangaroo that lives in the trees. Known as Tree Kangaroo or Matischie Tree kangaroo, they are restricted to Papua, Papua New Guinea, and Australia. The endangered Tree kangaroo is restricted to the rain forests of West Papua, Australia, and Papua New Guinea. Matschie’s live in mountainous rain forests at elevations of up to 3,350meters. The tree kangaroos do not sweat! They lick their forearms and allow the evaporation to cool their body. 2. “Devil worm” – A new species of nematode live 2.2 miles below the surface of the earth. Devil worm is a new nematode species. They were found in a gold mine at depths of 2.2 miles. Scientists previously believed that only microbes lived in those depths. The Isotope dating of the water hosting these microorganisms revealed that the nematodes were 3000 to 12,000 years old. 3. The Aquatic Sea Anemone resembles a flower. But they are a carnivorous animal that feeds on small fish and shrimp. Sea anemones are water animals. They look like anemone flower hence the name sea anemone. Sea anemones are related to corals, Jellyfish, and hydra. 4. Birds and mammal avoid pylons or high voltage power lines because they are terrified of the ultraviolet flashes. These flashes are invisible to human eyes. 5. Blue whales vocalizations are the loudest sound made by any animal. Blue whale sounds can be heard at a distance of 800 km (500mi). 6. Kiwis are the smallest ratite. 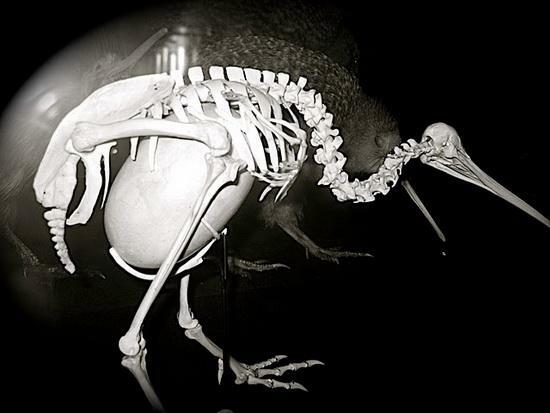 However, female Kiwis lay the largest egg in relation to their body size of any bird in the world. Kiwis are the smallest living ratites. DNA comparisons show that the Kiwis are closely related to the now extinct Malagasy Elephant birds. Kiwis are the only bird to have nostrils at the end of their long beak.